Swimmer Michael Phelps earns gold medals and piles of cash for his physical prowess in the pool. But that's not the only way to get awards. Every year, for example, scientists and engineers get medals and cash for their mental prowess in the lab. 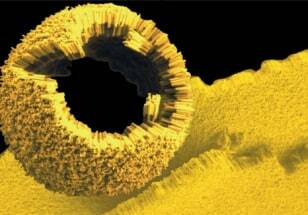 Some get the prizes for recent innovations such as tiny gold particles that destroy cancer cells. Others are recognized for discoveries made decades ago that changed the course of humanity, such as how to grow antibiotics quickly and cheaply. Click the "Next" button to check out seven innovations cool enough to win an award. Size matters for Chad Mirkin. 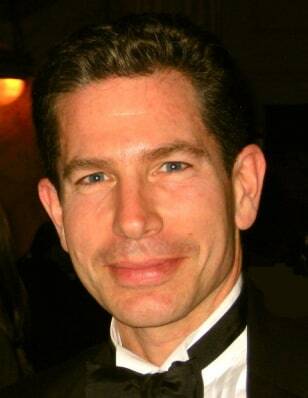 The researcher at Northwestern University in Evanston, Ill., is a master in the realm of nanotechnology. His ability to manipulate particles the size of atoms and molecules has led to novel inventions in medical testing and a high-resolution, molecule based printing technique with applications from electronics to drug discovery. One of his cool inventions is the ability to detect molecules in the bloodstream that are harbingers of disease with the help of gold nanospheres, like the one shown under construction in this image. The diagnostic test is about a thousand times more sensitive than any other system out there and has the potential to revolutionize the field, he said. 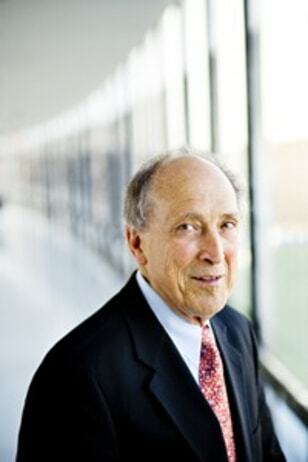 Mirkin was awarded the $500,000 Lemelson-MIT Prize in 2009 for his efforts. Joel Selanikio used to gripe about international health work because it was often expensive, required mountains of paperwork and data analysis took too long. This prevented organizations from efficiently evaluating the success of their programs and moving quickly to battle disease outbreaks. Selanikio, a former public health worker for the Centers for Disease Control and Prevention, got around these obstacles by inventing the free, open-source software package called EpiSurveyor, which is available through Datadyne, a technology company that he co-founded. The software allows health workers in developing countries to quickly and easily create data collection systems — such as surveys — using cell phones and PDAs. Though laptops and desktop computers are uncommon in some developing countries, mobile gadgets are everywhere, he noted. Selanikio, who is now an assistant professor of pediatrics at Georgetown University Hospital, received the $100,000 Lemelson-MIT Award in 2009 for Sustainability in recognition of his accomplishments in public health and international development. Geoffrey von Maltzahn has figured out ways to use tiny particles of gold to seek out and destroy cancer cells without side effects such as hair loss and nausea associated with chemotherapies. The efforts earned the graduate student and biomedical engineer at the Massachusetts Institute of Technology $30,000 Lemelson-MIT Student Prize in 2009. 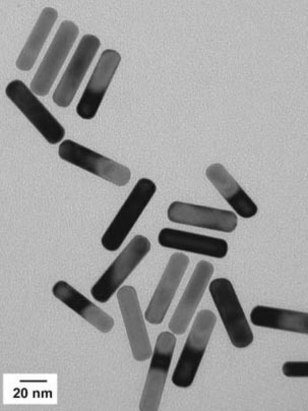 One method he developed with his advisor Sangeeta Bhatia involves the use of the gold nanorods, shown here. The rods are injected into the bloodstream and infiltrate pores in rapidly growing tumor blood vessels. Rods that don't accumulate in tumors are cleared from the body by the liver and spleen within three days. The rods in the tumors are then exposed to a near-infrared laser, which heats them up to 70 degrees Celsius, sufficient to kill the cells. In trials with mice, the technique eradicated 100 percent of the cancer cells. Clinical trials and FDA approval are required before the technique is available for humans. Just about everybody who uses a personal computer owes a bit of gratitude to Robert Dennard. The IBM engineer invented a form of cheap, high density memory that revolutionized the industry. DRAM, or dynamic random access memory, puts bits of data into capacitors — energy storage devices within a miniaturized electronic circuit — and periodically recharges the capacitors so that the information in them is not lost. The ability to put one bit on a single transistor was an improvement over previous six-transistor cells. The technology was patented in 1968, found its way into computers in the 1970s and remains the foundation for memory in most computer components and systems. Dennard received the 2009 Charles Stark Draper Prize — a $500,000 annual award from the National Academy of Engineering — for the achievement. Anyone who has ever taken penicillin or another antibiotic owes thanks to Elmer Gaden, widely known as the "father of biochemical engineering." 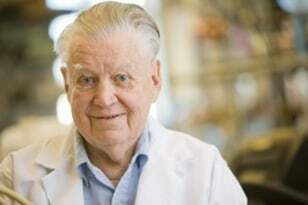 He received the 2009 Russ Prize — a $500,000 award from the National Academy of Engineering — for his development of technology that made possible the mass production of antibiotics. The breakthrough came during research for his Ph.D. in chemical engineering from Columbia University, which he received in 1949. He figured out how to provide the optimal amount of oxygen needed for the growth of antibiotics, which is known as aerobic fermentation. This allowed the drugs to be manufactured inexpensively and distributed widely. The high speed of the Internet and the rest of the world's tightly connected, lightning-fast communications network exists as it does today thanks to a 1966 innovation in how to transmit light signals over long distances via hair-thin glass fibers. Charles Kao, while working at Standard Telecommunications Laboratory in Harlow, England, determined the trick to the transmission was to purify glass to a transparency that had never been obtained. This was accomplished at Corning Glass Works a few years later. It took several more years of experiments, but in 1988, the first fiber optic cable was laid between Europe and North America. It is ubiquitous today. 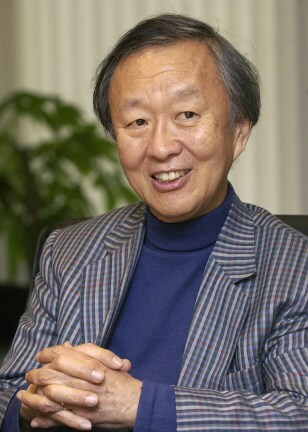 Kao received half of the 2009 $1.4 million Nobel Prize for Physics for the accomplishment. 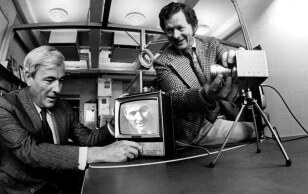 The other half of the 2009 Nobel Prize for Physics was shared between Willard Boyle and George Smith for their invention of the eye of digital cameras, the charged coupled device, or CCD. This is the sensor that transforms light into the pixels, or dots of color, that are the building blocks of digital images. The invention made in the 1960s at Bell Labs in New York revolutionized imagery. Without the CCD, the brilliant pictures of the universe from the Hubble Space Telescope or from the robotic explorers on the surface of Mars would not exist. Nor would we be able to whip out our cell phones, snap a photo and send it to all our friends.